MyTek Electronics follows the requirements of international ISO 9001 standards to build up our QC process flow and quality management system. 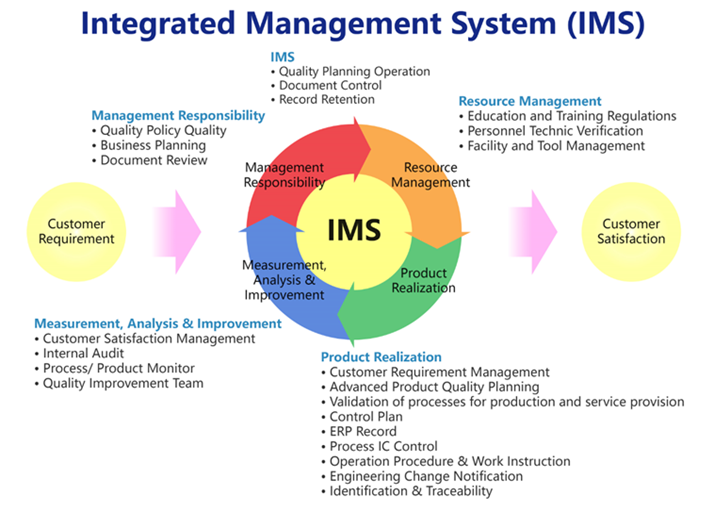 This Integrated Management System (IMS) shows that we have the capability to provide consistent products and achieve the objective of customer satisfaction, including continual improvement on system and procedure, and guaranteed conformation of customer's requests, laws, and regulations. We will continue to improve the overall management system to achieve our ultimate goal of exceeding our customer's expectations. As an essential part of our quality commitment towards total customer satisfaction, MyTek has developed a complete Quality Management System that provides strict policies and integral procedures directed toward our facilities, business processes, and employees. We believe that quality improvement is one of the key responsibilities of every MyTek employee. MyTek is committed to solving quality issues with the right concept and attitude. Customer satisfaction is the most important indicator of quality. The best way to keep customers satisfied is to enhance the quality from every perspective of running IMS. When the company-wide quality is well managed, we will achieve MyTek's ultimate goal of exceeding customer's expectations. Prevention is better than cure. Doing it right the first time, it prevents rework and waste. “To inspect products quality, the process is the key point.” Each step of the process must be closely monitored and controlled. When a deviation occurs, problems are handled systematically to discover the root causes. Corrective actions are to be taken immediately. Preventive actions are then employed to prevent defect recurrence. This is the only way to achieve MyTek's quality goals. Continuous quality improvement is built into MyTek's culture. Continuous quality improvement activities are ongoing. MyTek is always motivated to seek out opportunities to achieve its goal of Quality perfection.